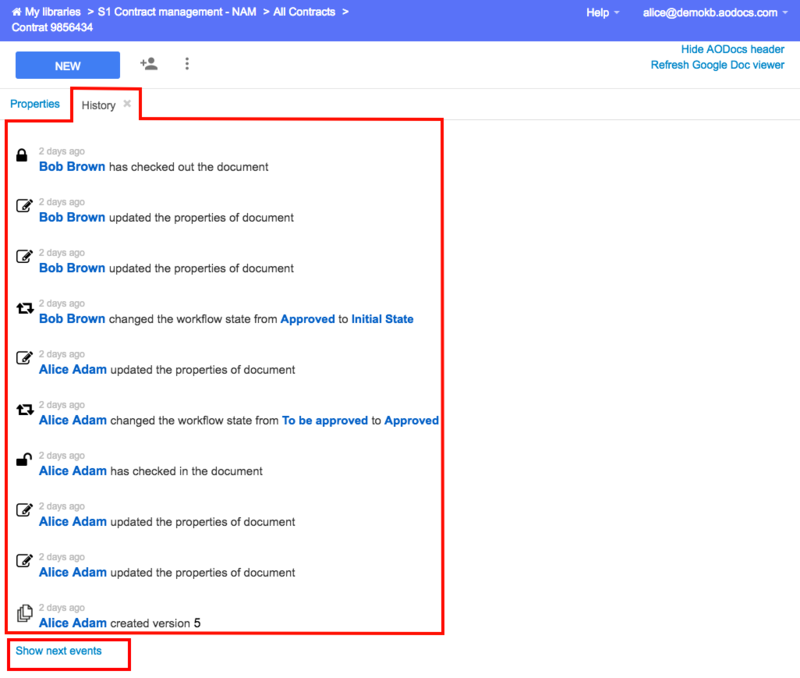 You can access the document history to view all the changes made to your document (including workflow transitions), who made the changes and when. 2. Open the More actions menu and select Document history. 3. The history of the document is displayed in a new tab. You can toggle between the document Properties and History by selecting the required tab. 4. To access older events in the document history, press Show next events at the bottom of the page. All the events associated with the document and its attachments are listed in the document history. To see the modifications to attachments, use the version control feature. Learn more: Manage document versions in an AODocs library. Can you tell me if it's normal? We would need to see all the history on same page. Feel free to vote and comment on it.